When the Leap Motion controller came out last summer, my colleague Stacey Higginbotham was somewhat skeptical. It was lacking in compelling apps and sometimes difficult to use. But the nine startups that pitched at the AXLR8R demo day in San Francisco Friday were proof that there are a lot of niche applications brewing that make better use of Leap Motion’s abilities than gaming or consuming news. It can be a hands-free tool for surgeons or a translation tool for sign language users. “We always view our role as a platform enabling people, enabling developers to build something that would not have been possible before,” Leap Motion CEO Michael Buckwald said at the event. The question is whether it can compete with technologies like Google Glass and Meta’s augmented reality glasses, both of which could be used for many of the same applications. However, some of the startups made the case for how Leap Motion can add capabilities to platforms like Oculus Rift that don’t already have motion tracking. SOSVentures, which led AXLR8R, announced it is planning another accelerator that will be open to any company looking to improve interaction. Animake It! : Animake It! was born out of its founders questioning why cat pictures with text laid on top has come to be one of the dominant mediums of expression on the internet. They built an in-browser tool that allows people to mash up existing images, videos and gifs and easily animate them. In one example, a walrus and a penguin are pasted over an image of an iceberg. Within seconds, the animals were animated by turning on a track changes feature that then played back the dragged path of the penguin, making it appear to jump into the water surrounding the iceberg. In another, more characters were mixed into the popular Nyan Cat video. Animake It! is currently attempting to raise at least $10,000 on Kickstarter. But it also plans to earn funds by selling different sets of images and licensing the platform to partners. Cori: Cori is a voice- and gesture-controlled platform that equates to a more advanced Siri that is also compatible with the internet of things. You can use it to answer a Skype call on your computer, dictate an email response and more. During the demo, the Cori team demonstrated how the platform can be used for everything from turning a bedside lamp on in the morning to reminding its user of upcoming meetings. Instead of responding to set prompts, it is compatible with more natural human language. Cori will go on sale in August for an undisclosed price. Diplopia: James Blaha had never seen anything in 3D until he tried his own game, which is known as Diplopia. Blaha was born with a lazy eye that left one of his eyes virtually useless, forcing him to see the world with just one despite hours of therapy as a child. But in virtual reality, you don’t have to play by the same rules as the real world. Diplopia works by presenting different images to each eye. 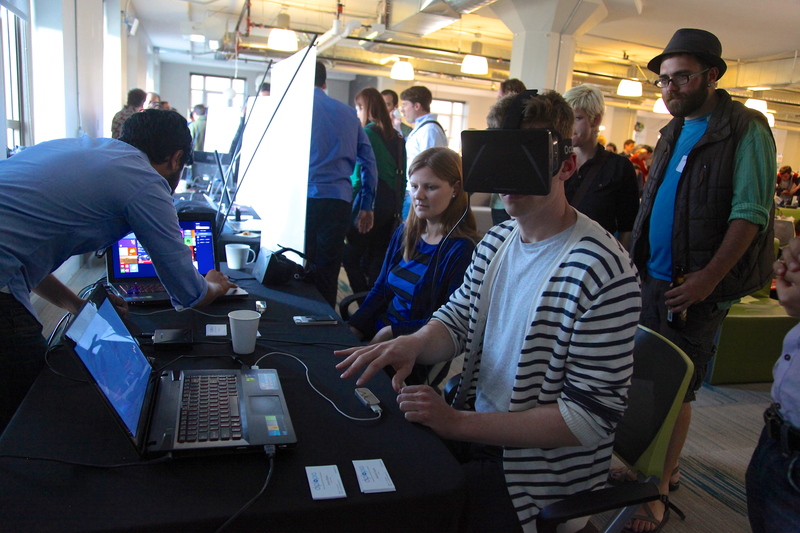 At the demo day, this was done inside an Oculus Rift headset. Over time, the image presented to the lazy eye is tuned to bring it closer and closer to what the strong eye sees. Blaha’s vision has since cured his lazy eye. “I hacked my own brain, and it worked. And it worked for other people too,” Blaha said. Diplopia will be sold as just a game, or packaged with hardware for $550. Ethereal: Some of the earliest applications available for Leap Motion were art related. Ethereal provides an updated option that looks less like Microsoft Paint and more like professional watercolor. 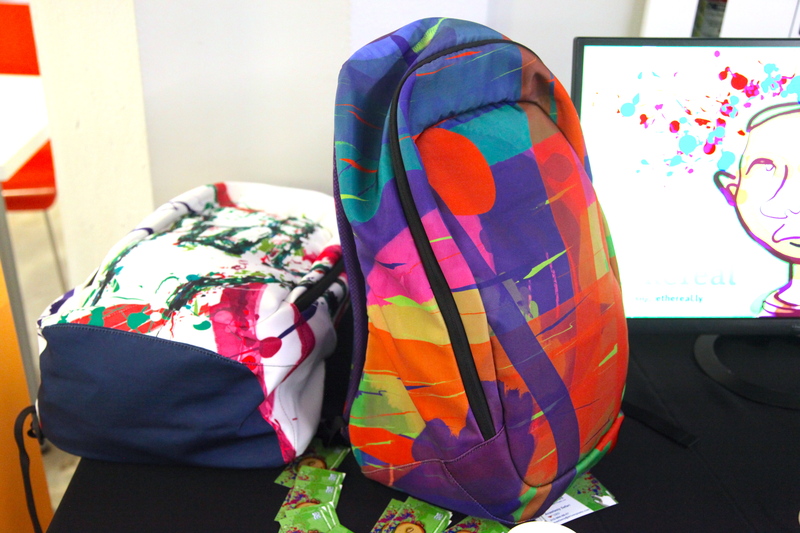 The startup’s team modeled a shirt and backpack colored with abstract designs created in Ethereal, and both were pretty. Like existing painting apps, it seems like Ethereal requires some practice before anyone can be really good at using it. But even the creations made by beginners were aesthetically pleasing. Ethereal is already available for $19 a download. GetVu: We were promised a world where we can lay the virtual world over the physical like Tony Stark. That’s coming, but GetVu believes the current applications are too limited. Its headset and plugin software are meant to make it easier to create applications for virtual reality. The plugin makes developing content drag and drop, cutting the need to know and write complex code. 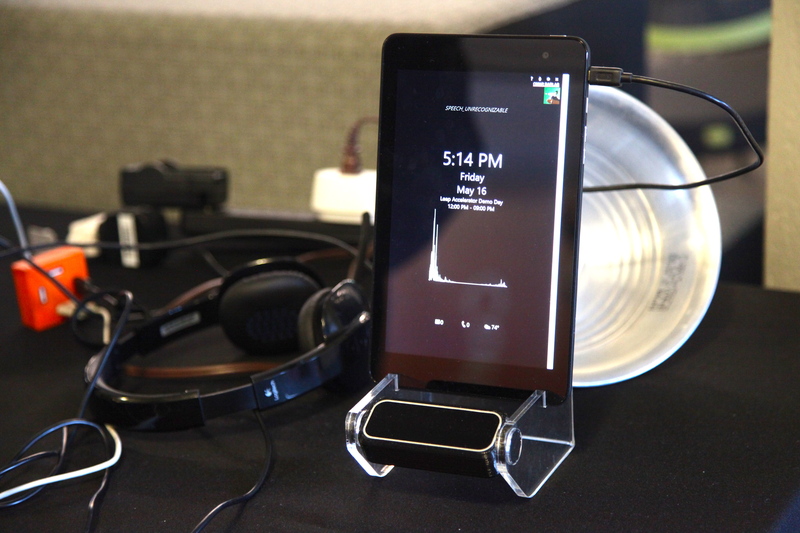 The resulting content can be viewed on any Android phone, which is slipped into GetVu’s headset. 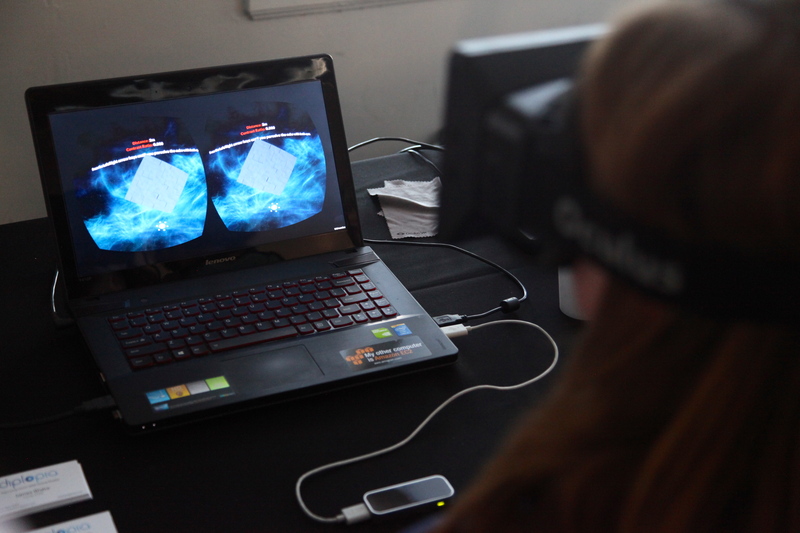 The headset senses the outside world, including gestures, with a Leap Motion controller. The software will be available for free, while the headset will sell for $230. Mirror Training: Handling bombs has become a lot safer for the military thanks to robots, which can now dispose of explosives without a human ever having to set foot nearby. But humans still need to control the robot (a very slow process), which can still open them up to danger from ambushes or snipers. 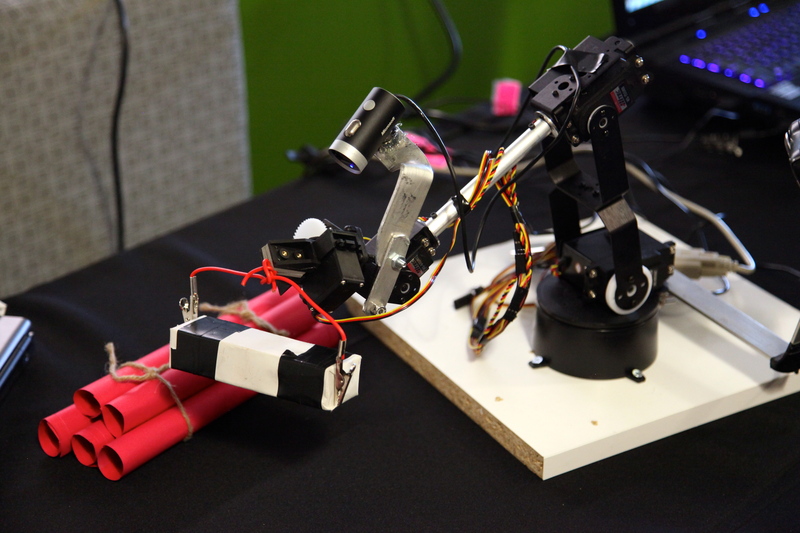 Mirror Training uses Leap Motion to mimic hand movement with a robotic arm. During a demo, the Mirror Training team picked up a mock U.S. explosive and placed it near a mock enemy explosive, where in real life it could then explode and destroy the bomb. The process is meant to drastically speed up the time it takes to neutralize a bomb. Mirror Training hopes to sell the system to partners like the U.S. military and iRobot by the end of the year. That’s the sentence played out in a robotic sounding voice by a Leap-equipped tablet after Hait-Campbell gestured the same statement in sign language. The device is also capable of translating speech into text to foster a two-way conversation. The team plans to launch MotionSavvy next year. It will sell for $600, plus a $20 monthly subscription. It will compete with existing translator concepts like MyVoice and the Sign Language Ring. Sterile Air: Sterile Air is a catheter and Leap Motion compatible software program that can help doctors reduce steps to prep a patient ahead of an MRI. The process generally involves jumping back and forth between a computer and inserting the catheter, which means there are inefficiencies because a doctor cannot touch the computer without risking sterility. MRIs are extremely loud, which means voice control is not an option. Gesture control overcomes that problem while still keeping an area sterile. The catheters will sell for $800 each and the entire system will sell for $15,000. It will be sold directly to medical centers. Visual Touch Therapy: Three years ago, Eric Medine’s uncle had a stroke. He has since regained his ability to walk, but it took a long series of physical therapy. 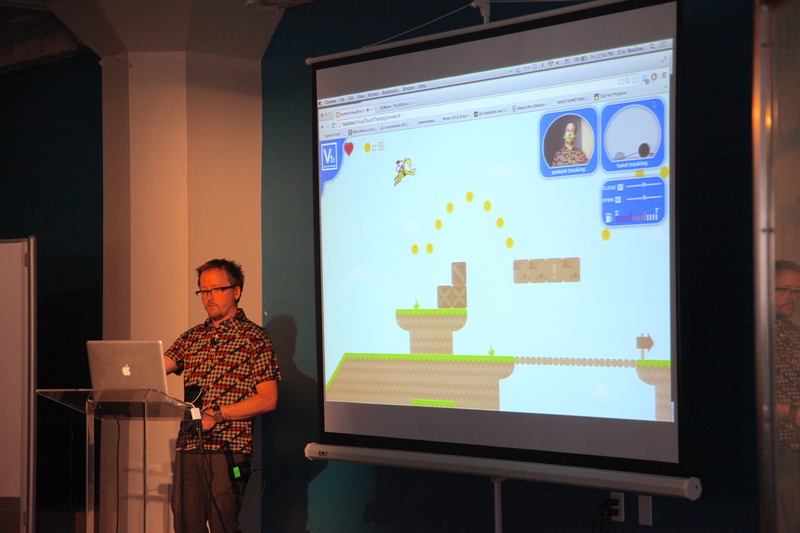 He has since created games like Rocket Dog, which involves using Leap Motion to send a flying shiba inu through a series of tasks. The dog is controlled by gestures necessary to physical therapy. The game then tracks users’ progress, making therapy fun and improvement more evident. Patients would register to use Visual Touch Therapy for a $25 monthly fee. “I want to be the Candy Crush of physical therapy,” Medine said.